The host was very welcoming and the transfer was easily arranged. The apartment was beautifuly decorated, spacious and confy. The place to be! We got married here and we couldn’t ask anything better. Annalise and the mother are simply amazing. Highly recommend! One of the best place ever been with booking. Absolutely felt properly welcomed by the hostess. Althoughbwe arrived late she took time to help usvgetbis settled in - and offered us snacks for dinner since everything in the area was closed. The property is very new and well kept! Just what the doctor ordered! The rooms are of a high standard. We were very pleased with the layout and the quality. It had everything we needed to ensure we could make the most of our self-catering stay. The hospitality and friendliness was amazing and we felt right at home. The owners even helped us arrange a last minute car rental for our stay which we greatly appreciated. I would recommend buying some fresh seafood to cook outside in the grill area while listening to the sounds of the ocean. Staff super friendly, great value for money, big one bedroom apartment. The whole arrangement and view were great.. Host was very helpful and always ready to solve our issues.. great service and experience. A beautiful property overseeing the sea on the East coast! The rooms are fully equipped with all facilities and the property is very well maintained! Annalise is a great host and made sure Our stay was very pleasant and memorable! Looking forward to coming here again. There is no complimentary breakfast available but the room has all the facilities to cook your own food with a barbeque facility outside the room. Overall an amazing place to stay! Beautiful view from the room of the Anse Royale beach. Greeted by the lovely host, Annalise. Fantastic amenities. I would definitely recommend it, especially in February as the water is cleaner as compared to the north side. Beautiful modern apartment with all equipment needed. Beach towels are provided. The bed is very comfortable and big. Situated directly by the water. Would stay again. 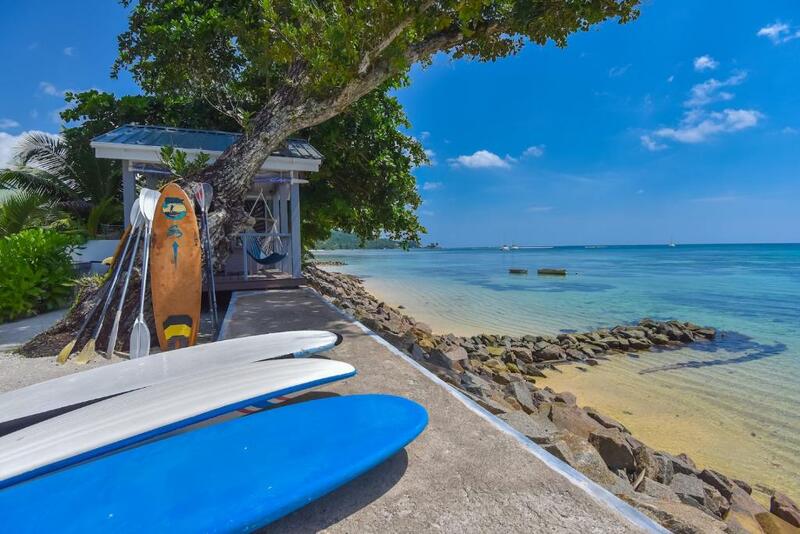 Lock in a great price for Le Nautique Beachfront Apartments Mahe – rated 9.6 by recent guests! One of our best sellers in Anse Royale! 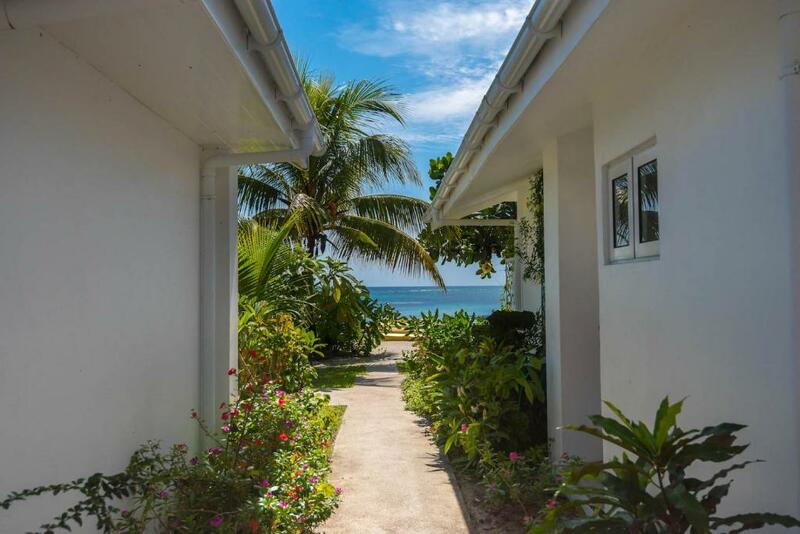 Located in Anse Royale, Le Nautique Beachfront Apartments Mahe has accommodations with a seating area, a flat-screen TV and a kitchen. Complimentary WiFi is provided. Each unit features an oven, microwave, a coffee machine, as well as a toaster and electric tea pot. 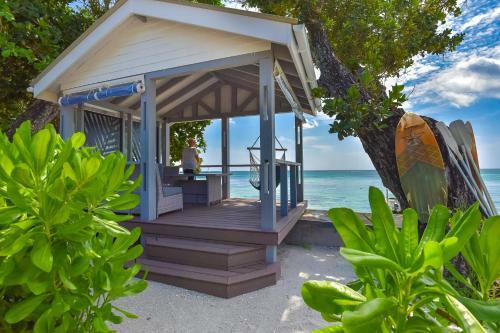 A patio with sea views is offered in every unit. 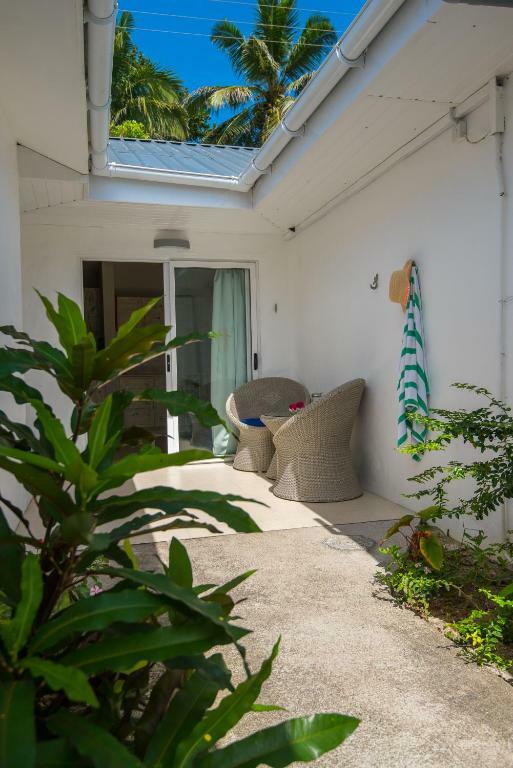 A terrace and water sports facilities can be found at Le Nautique Beachfront Apartments M, along with a garden. Mahe is 7 miles from the accommodation. 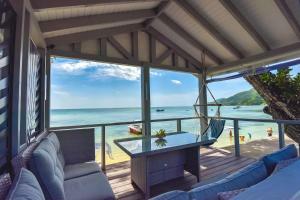 This property is also rated for the best value in Anse Royale! Guests are getting more for their money when compared to other properties in this city. When would you like to stay at Le Nautique Beachfront Apartments Mahe? This apartment has a dishwasher, air conditioning and tea/coffee maker. This apartment features a oven, seating area and toaster. This apartment has a dining area, stovetop and sofa. 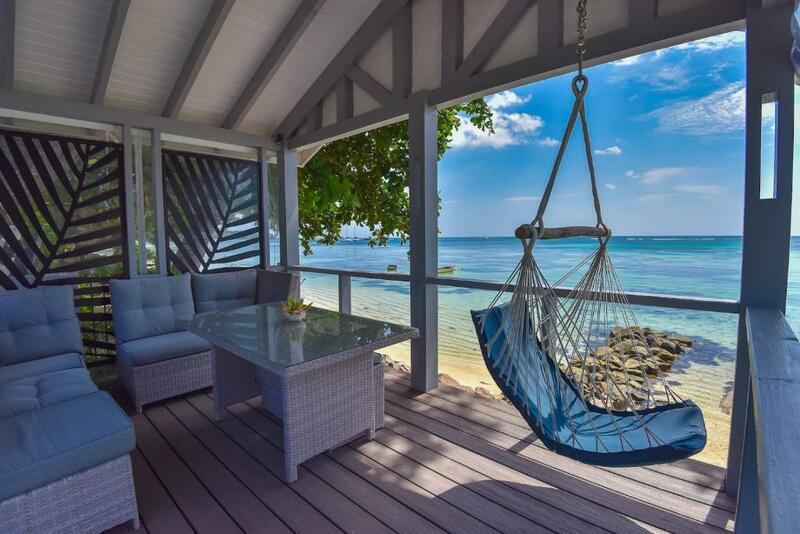 House Rules Le Nautique Beachfront Apartments Mahe takes special requests – add in the next step! Le Nautique Beachfront Apartments Mahe accepts these cards and reserves the right to temporarily hold an amount prior to arrival. 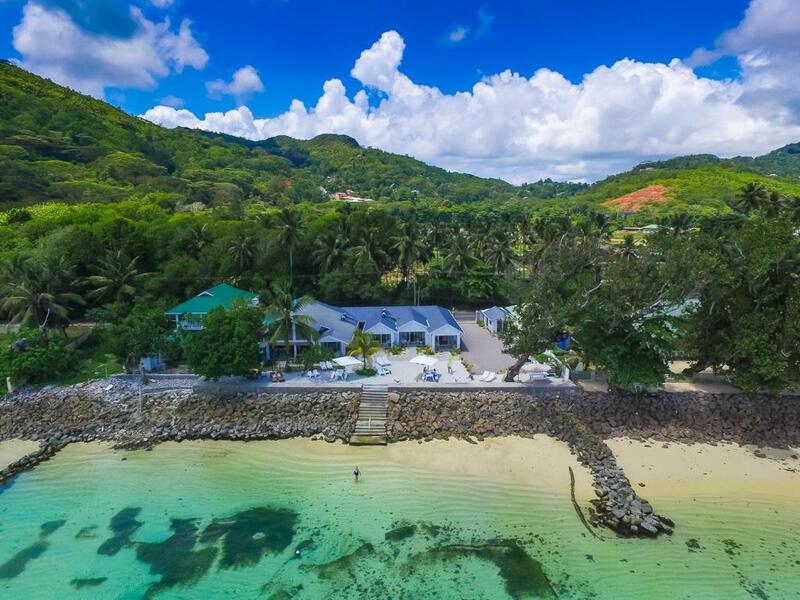 Please inform Le Nautique Beachfront Apartments Mahe of your expected arrival time in advance. You can use the Special Requests box when booking, or contact the property directly using the contact details in your confirmation. We thought the apartment was by a sandy beach but there were rocks instead. You need to walk a short distance to the sandy beach. Everything. The hosts, Michelle and Annalise were extremely helpful, efficient and very friendly. Nothing was too much trouble for them. Our apartment was very comfortable, well-equipped, quiet and clean. The outside area was very picturesque and was perfect for a very peaceful and relaxing holiday. We have already recommended the Apartments to friends. we had the smallest apartment at Nautique, for 2 people, whilst it was very comfortable and tastefully decorated our sea view was a little limited and sitting outside our apartment was down a shady passage way which unfortunately held quite a few mosquitoes and did not have the sea frontage and view that the other apartments enjoyed. warm welcome, nicely decorated apartment and the ability to check out but have access to shower later on in the evening prior to catching a late flight. Shops and restaurants were a bit far, walking there with kids during the night not recommended. Food options were limited, the takeaway restaurant we tried was terrible. Would have been great to have a small shop or dispenser at the facility. Right on the water, beautiful apartments and very friendly and helpful host. Close to shops and restaurants. Beautiful beach good for swimming just a few minutes walk away. Would highly recommend. Could have a bottle of milk and more tea/coffee available. Although it was self-catering, a few basics would have been nice! It was perfect. Very nice owners, very clean, direct beach access, closed, protected area. You get a lot for your money. Special needs ( an extra blanket) were promptly settled. The owners live next door, so if anything happens, they are there. Great tips and guidance for things to do around the island. Beautiful apartment with everything we needed, area to chill outside. Great to have kayaks and paddle boards so we could go right in the sea right out front. 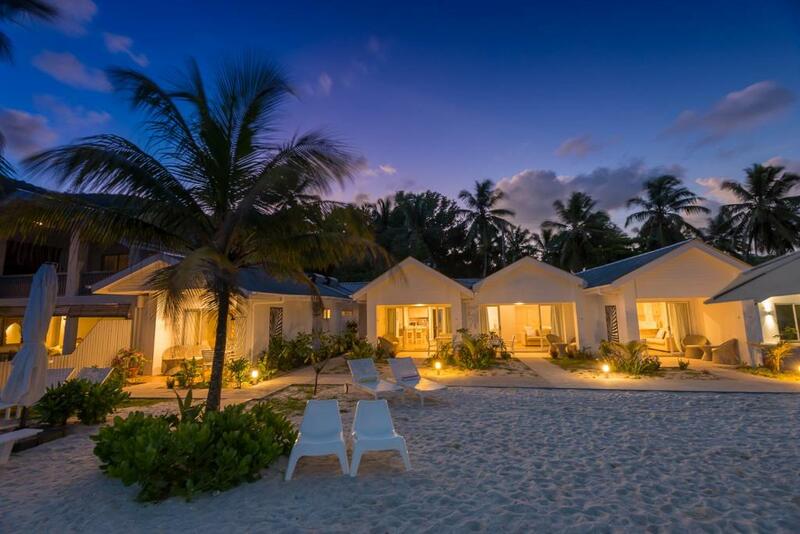 Wonderful location, just in front of the ocean, with a little beach just in front of the room. Stores and restaurants are maximum 10 minutes walking. Michelle, the host, was great, she gave us all the information we need, was there all time, even arange for us some trips in the other islands. All is clean, very well organised, and Michelles is there all the time. We will come back for sure in this location. Loved the place and its atmosphere. Best self-catering property in seychelles! Very beautiful place. Relaxing, quiet, clean and has got everything for an amazing holiday. Shops and restaurants are very close. Beautiful beaches are within walking distance. Very accommodating and helpful owners.